There's nothing worse than inviting friends over for a meal and feeling embarrassed with your dining room floor. It looks grimy. The grout lines are black. You're dreading the conversation turning to your stone floor. Do you know how to mop a tile floor? Grubby stone floors make your home feel yucky. 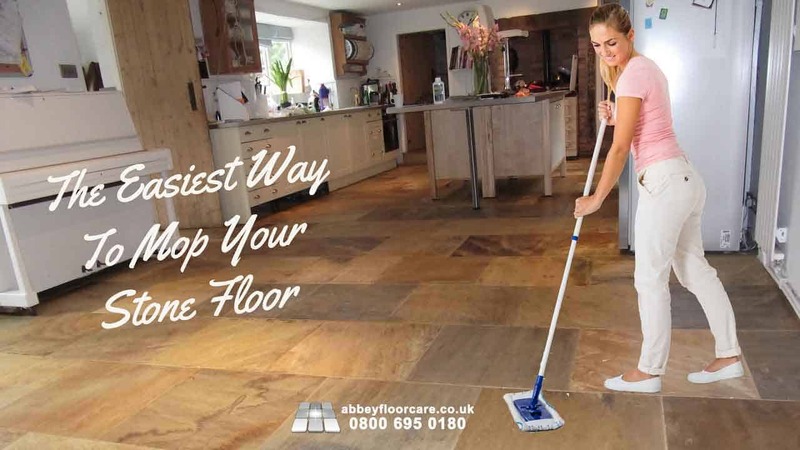 If you are like most people, you won't have put much thought into whether your stone floor cleaning is contributing to the problem. Mopping stone floors, yes, I agree not an exciting subject. That is until your beautiful stone tile floor just doesn't seem to come clean, and always looks dull and grimy. Are You Mopping Your Stone Floors This Way? If you're like most people, here's how you clean your floor. You start, by filling a bucket with hot water and your personal mopping solution. You grab your mop! A classic cotton or synthetic kind is still the most popular, so this is what you use. Next, you dip your mop into the cleaner and wring it as best as you can so it is not too wet. Then you mop it over part of the floor. Then you rinse your mop in the cleaner, wring it out and mop some more floor. Each time you wring the mop, the cleaner is getting dirtier and dirtier. As you mop, you’re just putting the dirty water right back down! It's not your fault; it's just the way with buckets and cotton mops. A standard cotton mop works on the principle of the fibres soaking up the dirty water. But when it gets wet, it's ability to soak up more dirty water is reduced considerably. Before you start mopping your floor, you need to use the right equipment, starting with your mop. However having tested of them, I always come back to one option, a microfiber flat mop. Microfiber traps dirt in the fibres rather and does not release it until you launder it. Water is only needed to create the capillary action that pulls the soil particles into the fibres. They only need to be damp and use much less water than standard cotton mops. Microfibre consists of very fine threads of polyester and polyamide (nylon) that combine to form a single thread. One Microfibre is 100 times thinner than a single strand of human hair. When they are woven together, the Microfibres create a surface area 40 times greater than that of a regular fibre. Due to this expanded surface area, and to the capillary action of the fine threads, Microfibre Cloth has dramatically enhanced absorbing power. Microfibre is traditionally defined as a fibre with a denier of less than one. Denier is a measure of the thinness of a fibre and is the weight in grams of a continuous fibre of 9,000 meters. Due to its incredibly thin structure, Microfibre is able to penetrate the finest microscopic particles of dirt and grease on any surface. Split Microfibre, as it is more specifically described, possesses numerous wedges rather than the rounded threads found in ordinary cloth. This wedge structure is what provides the superior penetration of grease and oil verses that of common fabrics. In addition, the rounded fibres on most cloths only push the dirt along the surface, whereas the wedge-shaped Microfibres grab the particles of grime and pull them into the dense internal structure. Microfibre has two polymers: polyester and polyamide. Polyester is lyophillic, or has an affinity to oil, so that oil and grease adhere directly to the fibres. Polyamide is hydrophilic, which means it has an affinity to water. As a result, any type of dirt is very quickly and completely removed with Microfibre, leaving a sparkling-clean, streak-free surface. Microfibre cleans any surface without streaking, smearing, or scratching. Ordinary towels move or push dirt and dust from one place to another. Microfibre actually lifts or scoops the dirt and stores the dirt particles in the towel, until it is washed. In addition, Microfibre can absorb up to seven times its weight in fluids. Many people vacuum their stone floors before mopping, which is an excellent idea. However, a vacuum can scratch the stone if it has exposed metal edges. Also, you need to use edging tools to get into corners and edges. A microfiber flat sweeping mop does away with all these problems. It doesn't scratch the stone or cause damage furnishings, and it is very light, easy to manoeuvre and quicker. As you move the mop over the floor, it creates a static charge that attracts dirt to microfibre, which then 'holds' the dirt until you wash or vacuum the mop. Adjust the handle to your preferred height ~ turn to the right to tighten, to the left to loosen. Start by dusting the edges from the furthest point in the room back toward the exit or door, then move the Dry Mop in a figure 8 pattern keeping the leading edge of the mop forward at all times. This will keep all the dust collected on the same side of the mop. Cleaning with a “push-pull” of the mop can result in the mop base flipping over and potentially scratching a surface. When you have finished, brush the collected dust and hair out of the mop using the Rubber Brush and pick up all the dust with your dust pan and broom (or simply brush the dirt from the Dry Mop head directly into the garbage can). Launder in a washing machine. Always dry mop the floor first using our Dry Mop Pads. Moisten the microfiber Wet Mop Pad under running tap water. Wring out well by hand before attaching it to the aluminum base. Start by mopping around the edges from the furthest point and mop toward the door keeping the leading edge of the mop forward at all times. Spray more water with a Norwex Spray Bottle if necessary. Rinse the Mop Pad in the sink, if necessary. However, you will be surprised to see that one mop head will clean your entire floor. When finished, simply hang to dry. Launder when necessary. * Tall, telescopic adjustable handle – no bending! 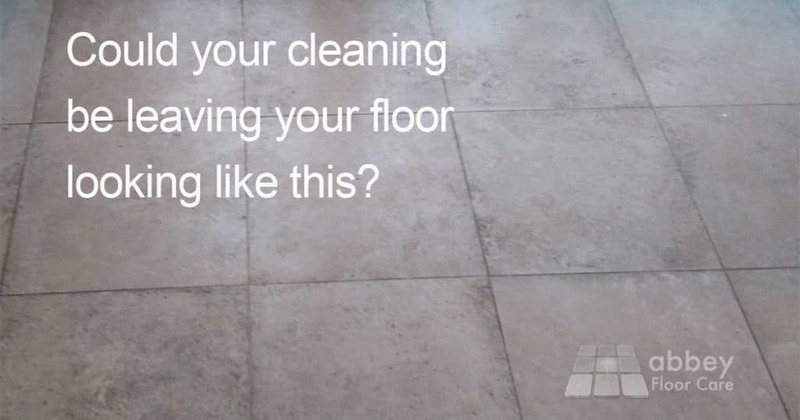 Is Your Stone Floor Cleaning Causing Dirty Grout? Mop and bucket cleaning is also a primary reason for dirty grout. As the mop passes over grout lines, the tile edges scrape the dirty cleaning chemical off the mop into the grout lines. After a while the dirty chemical starts to break down the surface of the grout, allowing it to soak deep into the grout. Microfiber does not suffer from this because it traps the particles inside the fibres. In fact, the microfiber will pick soil out of the grout rather than add to it. So the answer to how to mop a tile floor is to use flat microfiber cleaning equipment. Your floors will look cleaner for much longer. 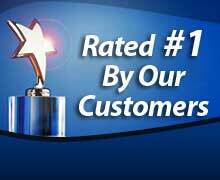 Marble, Travertine, Limestone and Terrazzo floors are common floors to suffer stone floor cleaning issues. If you think your stone floors are"past cleaning"